On Tuesday, March 20, Mecklenburg County will release a new report authored by UNC Charlotte Urban Institute: “Charlotte-Mecklenburg Evictions Part 2: Mapping Evictions.” This is the second report in a series focused on evictions in Charlotte-Mecklenburg, and the first of its kind in our community. Mecklenburg County provides resources to support the work to end and prevent homelessness in the community and collaborates with other public and private partners to promote housing stability for all residents. This includes funding for the Housing Instability & Homelessness Report Series, which is designed to better equip our community to make data-informed decisions around housing instability and homelessness. The report series, now in its fourth year, was initiated by the Housing Advisory Board of Charlotte-Mecklenburg in 2014. The first report on evictions “Charlotte-Mecklenburg Evictions Part 1: An Introduction to Evictions in Charlotte-Mecklenburg” showed that there are almost 30,000 households at risk of formal eviction a year – which is about 2,300 households a month. This new report marks the first time local eviction data have been mapped, showing where evictions occur and exploring characteristics of neighborhoods with high and low rates of evictions. A formal eviction involves a legal process in which a landlord attempts to regain possession of a leased premises from a tenant. The eviction data in the report series refer to formal evictions, which is likely an undercount of all evictions that take place in Mecklenburg County. Evictions can also be informal – outside of the legal process – which can include when a tenant is forced to move because a landlord increases their rent substantially or defers maintenance on the unit, or when the property is demolished for redevelopment. WHAT WILL BE COVERED IN THE NEW REPORT? When a tenant is at risk of formal eviction. This means that a “complaint in summary ejectment” form is filed by the landlord placing the tenant household at risk of eviction. Not all tenants who are at risk of formal eviction are ultimately evicted, but receiving a complaint in summary ejectment has an impact on the leaseholder’s future ability to obtain housing. Writ of possession. A writ of possession is issued by the court, at the request of the landlord, when tenants are unable to move on their own during the 10-day waiting period or file an appeal. 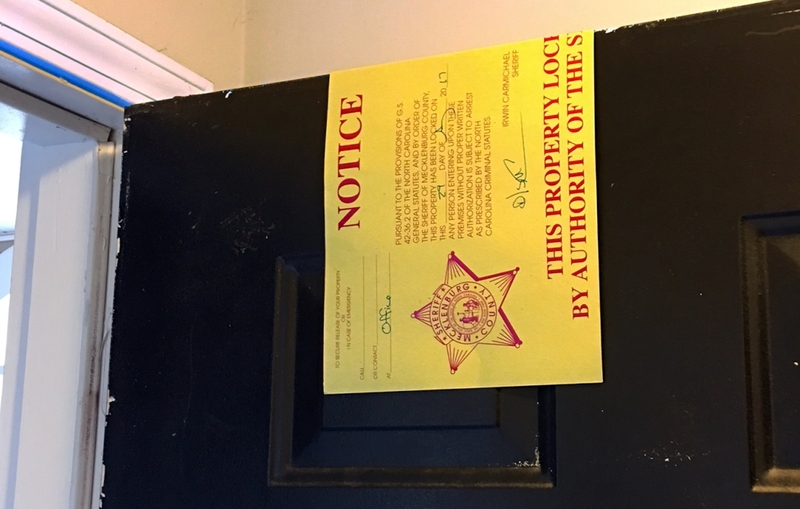 The writ of possession is received by the Sheriff’s Office who goes to oversee the landlord padlock the unit and remove the tenant. The data in the report reflect only the writs of possession that were executed. Eviction Density.  Where is the largest volume of complaints in summary ejectment and writs of possession served in Mecklenburg County? Eviction Rates & Clustering. What are neighborhood rates of complaints in summary ejectment and writs of possession served when we account for underlying housing density? Are neighborhoods with high eviction rates clustered? Neighborhood Characteristics. What are the characteristics of neighborhoods with high or low rates of complaints in summary ejectments and writs of possession served? The three components covered in the report – eviction density, eviction rates & clustering and neighborhood characteristics – allow us to see where and at what rate evictions are occurring in Mecklenburg County. By including characteristics within neighborhoods and whether characteristics are connected across neighborhoods, we can hone in on systemic factors that might be connected to evictions. Evictions lie at the intersection of homelessness and housing instability. Homelessness is an outcome for many households who face housing instability. When most of your income goes to housing, it can only take one crisis like a job loss or an illness to lead to an eviction. Having an eviction on your record creates future barriers to regaining housing and housing instability has ripple effects on children’s education and health. Understanding the role that evictions play in the cycle of homelessness and poverty is critical to advancing solutions that effectively address systems and policies that both perpetuate the problem and provide a path forward. An electronic copy of the report can be found here, following the public release on March 20, 2018. This post is co-authored by Ashley Williams Clark and Courtney Morton. Ashley Williams Clark is the Director of Outreach & Strategic Partnerships at the UNC Charlotte Urban Institute.  The Director of Outreach & Strategic Partnerships is a new position created to help the UNC Charlotte Urban Institute strengthen its visibility and impact throughout the Charlotte region through the building of collaborative partnerships to address important regional issues. Ashley is also the author of the report, Charlotte-Mecklenburg Evictions Part 1: Evictions in Charlotte-Mecklenburg. Courtney Morton coordinates posts on the Building Bridges Blog. Courtney is the Housing & Homelessness Research Coordinator for Mecklenburg County Community Support Service. Courtney’s job is to connect data on housing instability, homelessness and affordable housing with stakeholders in the community so that they can use it to drive policy-making, funding allocation and programmatic change. Does your family need assistance? 2-1-1 is here to help.Click here to contact us.